Watershed of Alibis: "Running to Stand Still" : "I Am Still Running"
There have been times as a songwriter when I have inadvertently "written" a song that's already been written. It may be a song I heard months ago, one time, forgot about, and then watched it subconsciously re-surface through my own pen. I innocently call the song my own, but really it's someone else's idea regurgitated. But there have been other occasions when I've purposefully modeled my writing after a song I admire, or even written a creative "response" to that song. This is common practice among contemporary poets- reflecting and reacting to each others work in writing, and to a lesser extent this is true of music as well, but the majority of mainstream musicians are too self-centered to notice other artists' words, much less learn from them or pose an intelligent response. In both cases above, I take a great song, chew on it, and spit it back out with my own pen. In one case accidentally; in the other, on purpose. I have a theory that I need your help testing. In order to do so, you'll need to download "I Am Still Running" by Jon Foreman (it's well worth it, I give you my personal money-back guarantee). You'll also need "Running to Stand Still" from U2's Joshua Tree, but I assume you already have at least one copy of that on your shelf. Whether accidentally or purposefully, subconsciously or artistically, Jon Foreman has re-written U2's classic "Running to Stand Still." The idea first struck me on the way to lunch this afternoon, listening to Jon Foreman's song from his new "Winter" EP. Testing my hypothesis, I repeatedly swapped CD's from Jon Foreman to Joshua Tree; Joshua Tree to Jon Foreman, back and forth and back and forth. What caught my ear? Well, below are the reasons why I believe Jon Foreman has purposefully (not accidentally) written a contrapuntal response to U2's "Running to Stand Still." 2. Jon Foreman, as you know, is the lead singer and principle songwriter for Switchfoot. Bono has already been popularly referenced in their song "Gone" ("Hey Bono, I'm glad you asked- life is still worth living...") and Jon names U2 as one of his top two influences (second only to Elliot Smith). 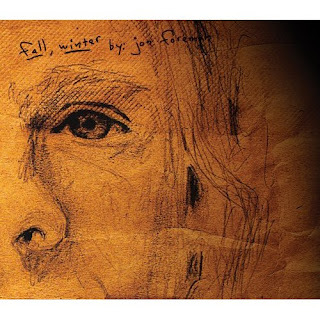 We know that Jon Foreman has been influenced by the Joshua Tree album, so it's not hard to believe that he may have admired and modeled his song after "Running to Stand Still." 3. Both are in the key of D major. 4. Both employ a slow, driving train feel. 5. Not only are both in the key of D, both follow an almost identical chord pattern: I - IV in the verse and chorus; I - IV - bVII in the bridge (which is not common in pop music). U2 adds a V chord, which is mysteriously missing from "I Am Still Running" until the end of the bridge. Also, Jon Foreman adds a ii chord, which is not found anywhere in "Running to Stand Still." Nonetheless, the principle chords are identical. 6. Both are track 5 on their respective albums. Coincidence? I remember reading an article a long time ago about artists who purposefully place important (or favorite) songs on a certain track number with every CD they release. I'm not suggesting importance in this case as much as the intentionality and care artists and producers take in selecting a track order. While I'm willing to consider that the Jon Foreman/U2/track 5 case is a coincidence, it's not possible that these songs just landed in this order accidentally. It's a carefully considered process. Oh, and by the way, Jon Foreman was also the producer of his album (which means he got the final say on track order). 7. Both use a Dobro (a kind of steel guitar played with a slide). Not significant proof at first consideration, but when you listen you'll understand how they're played in a similar way. Melancholy, longing, cold, rain... these are images evoked by the Dobro. Lots of songs out there have slide guitars in the mix, but in this case the technique was so similar to Joshua Tree that it was the first trigger of this whole theory (the first thing that made me pause the CD and say, "hey, I've heard that before..."). What this means: if you were able to play these songs at the same tempo simultaneously, they would match textually (remembering, of course, that they would also match in key and chord structure). In other words, if I were to run these two songs through ProTools, equalize their tempos and play them together, they would (in theory, and as their titles further suggest) be contrapuntal (two songs in perfect "counterpoint" designed to be played together). There are other less reliable observations related to the EP as a whole that make me believe it has a strong Joshua Tree influence, but I'll let you decide based on the evidence above. Am I hyper-analyzing this? Or is it possible that Jon Foreman wanted to make a subtle but profound statement: In 1987, Bono said we are running to stand still; I remember how I was running then, at "17 years young," and "I am still running" today. Amazingly, I have an opportunity to meet (and possibly sit down and chat with) Jon Foreman in a few weeks at my annual songwriter's conference in Colorado. If I can work up the gall, I want to ask him for the truth on this. To me, the design is just too intelligent to have been an accident. Some of what you said is over my "the only instrument I know how to play is an Ipod" head but I am way impressed with the analysis. Dr. Phil brought my attention to the Foreman EP's and now after this blog I am really going to check them out. How do you think the story behind U2's "Running to Stand Still" fits in with Foreman's? Isn't U2's about a girl he knew that was addicted to heroine in Ireland, and ultimately losing the battle? I read somewhere that when Bono sings this line he holds up his arm, rolls his sleeve back, as if pointing the meaning of the song to this woman's drug use. It certainly communicates the idea of someone having to watch someone else go through hell and back, most likely voluntarily. Certainly the line in Foreman's version, "Build me a home inside your scars", brings the same type of theme. I only have Foreman's Fall EP so far, but I was genuinely surprised by it. Adam: You won't be disappointed. Phil: Thanks for the kudos... I've seen Bono do what you're talking about: he rolls up his sleeve, taps his vein and dramatically shoves the imaginary needle into his arm. It's no doubt about drug addiction. I guess I just tend to hear the personal application and broaden "heroin addiction" to "addiction." I don't think anything of the substance or truth of that song is lost in that translation, but I could be wrong. I've obviously never had a heroin addiction, but that longing for deliverance from something that controls me is something I know very well. I'm only suggesting that in those broader terms, Jon Foreman has said essentially the same thing and artistically woven his re-telling into the original fabric of "Running to Stand Still." It's just a theory... I added an interview/documentary clip on U2's song to my homepage, if you're interested.